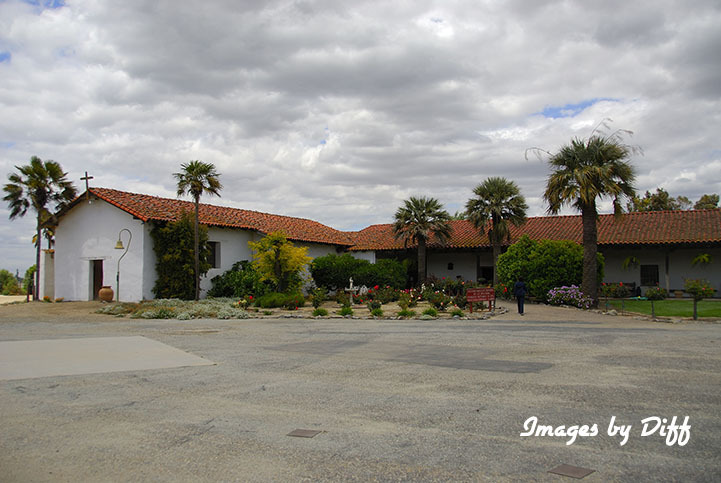 click photo to enlarge Mission Nuestra Señora de la Soledad is in the Salinas Valley near Soledad. It was founded on October 9, 1791 and was the thirteenth mission founded by the Franciscan Order. The last time we visited this mission it was closed because it was too early in the morning We were driving home form Monterrey and stopped by on our way home. click photo to enlarge Indians were converted and brought to live and work at the mission. 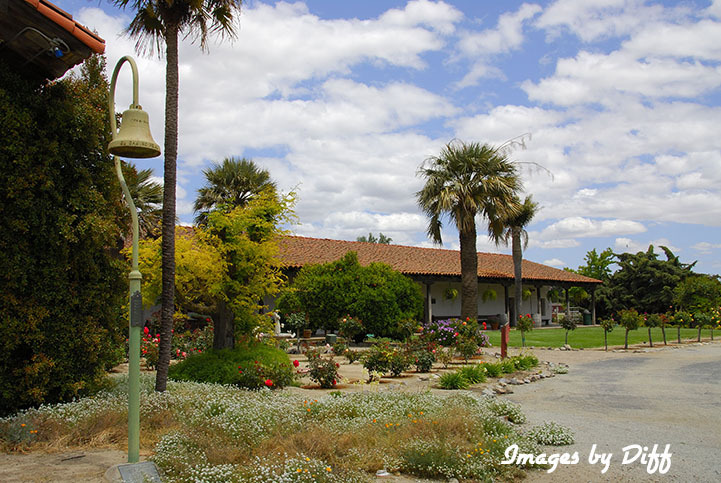 By 1803 there were 627 Mission Indians at Soledad. 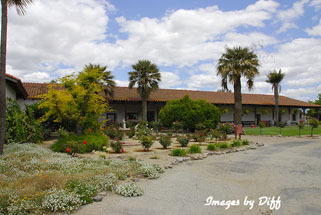 At one point the mission had 1,150 cattle, 5,000 sheep, 30 swine, 670 horses and 40 mules. 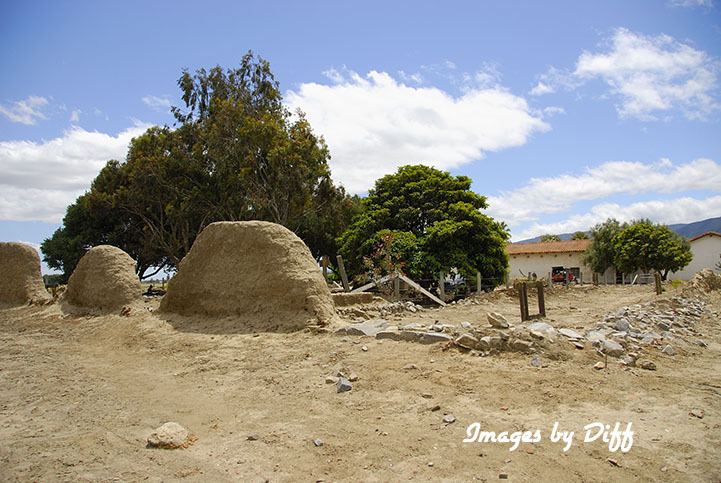 click photo to enlarge After 1825 the mission started declining and Mexican Government discontinued the mission during the secularization of California. In 1954 restoration of the mission started. The picture to the left shows part of one of the original walls. 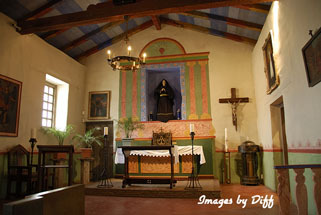 The chapel was reconstructed and dedicated in 1955.